It's the season for bridal showers, housewarmings, and Jack & Jill parties! 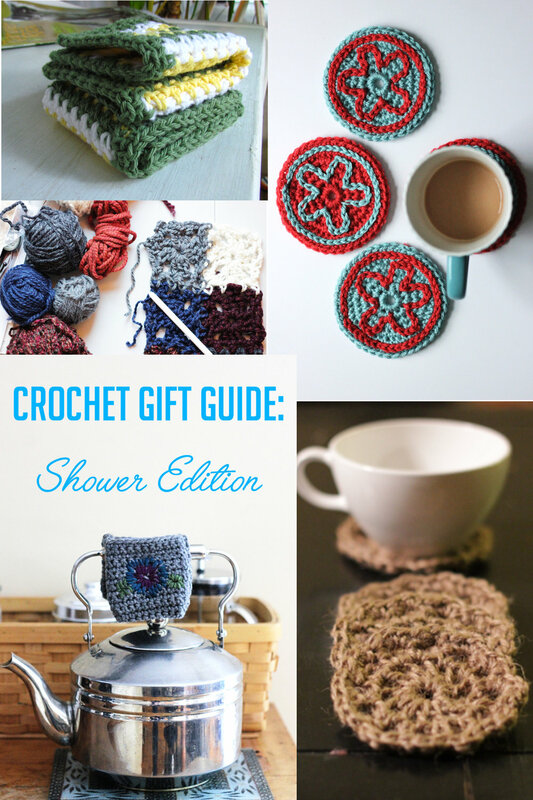 I thought I'd share a little collection of gift ideas for my crochet peeps to look at. I actually have a substantial backstock of content now (because I like crafting, or something), so here's a crochet gift guide you can choose from! Each is available as a free PDF download or link to the directions on my blog. Next, the Chunky Throw Blanket! Every living room or den needs a comfy throw, a blanket that's easy to tuck around your knees for a cozy night in. This is that blanket. Perfect for using up leftover yarn or splurging on your favorite chunky stuff, it makes a wonderful handmade gift. Follow the step-by-step DIY here! These Slip Stitch Embroidered Coasters are a great way to learn a new technique and make a cute set of coasters at the same time. Mix up the colors and make them to match the bride's color scheme! Follow the step-by-step tutorial here. This is such a beautiful potholder idea. I use mine for our teapot, but you can use this cozy for taking pans out of the oven or doing stovetop cooking too! Crochet a simple rectangle, embroider a few flowers on it, and pick out a pretty cotton fabric for the lining. Read the full instructions here. 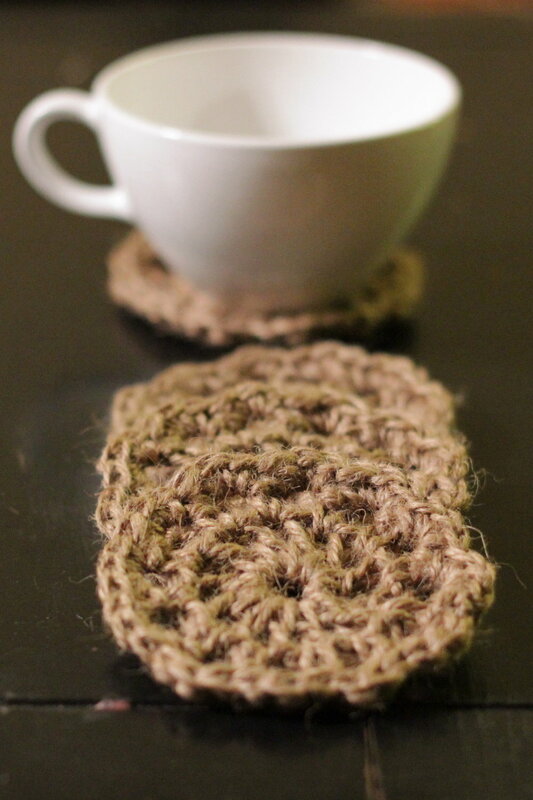 Last but not least, try your hand at crocheting with alternate fibers with these Twine Coasters! They're heavy-duty and cute - perfect for the bride who likes a touch of rustic. Download the free pattern. There you have it! Happy making, and be sure to share your creations with me! Comment below or tag me on Instagram @melodyfulonefiberartist.